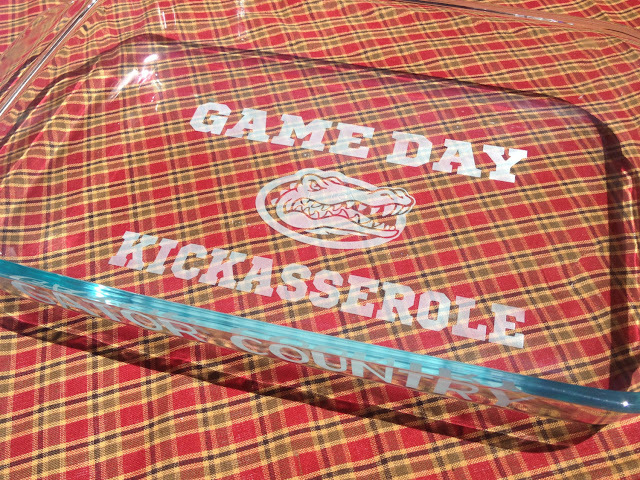 The UnCorkdArt Etsy shop has these creative gameday "kickasserole" dishes. I love the name and concept. 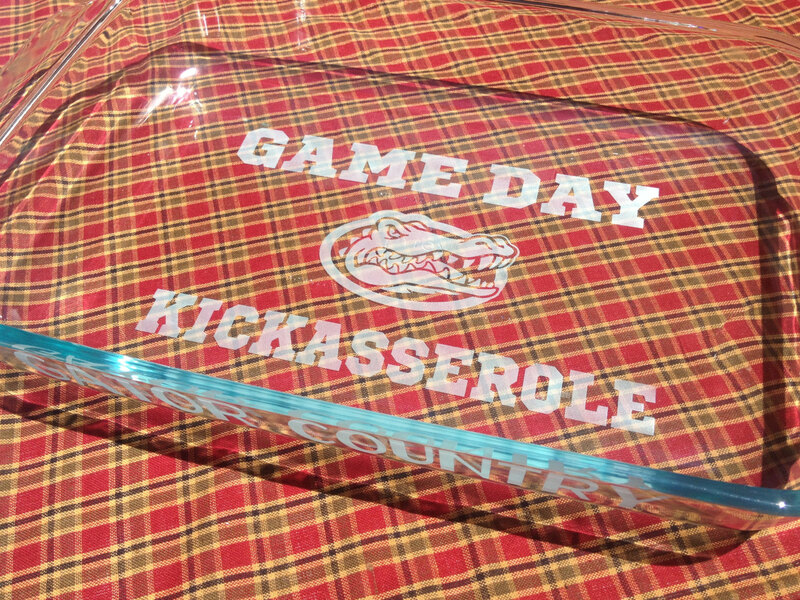 They can be custom made for your team. This seven layer dip recipe would be perfect to serve in this dish. Directions: In a large skillet, brown ground beef. Set aside to drain and cool to room temperature. Spread the beans into the bottom of a serving tray that is about 1 1/2 inches deep. Sprinkle 2 cups of shredded cheese on top of beans. Sprinkle beef on top of cheese. Spread sour cream very slowly on top of beef. Spread guacamole on top of sour cream. Pour salsa over guacamole and spread evenly. Sprinkle remaining shredded cheese. Sprinkle black olives, tomatoes, and green onions on top. You can serve this dish immediately, or refrigerate it over night and serve cold.